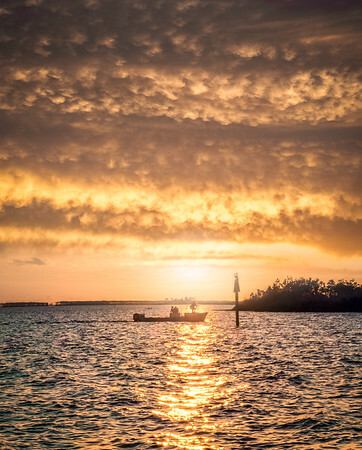 Water landscapes, wildlife, and more from the Alabama Gulf Coast. 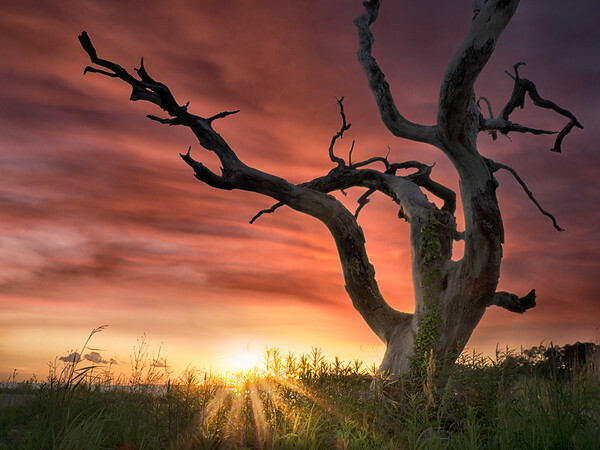 Sunset over Portersville Bay behind Duck Hill Oak in Coden, Alabama. 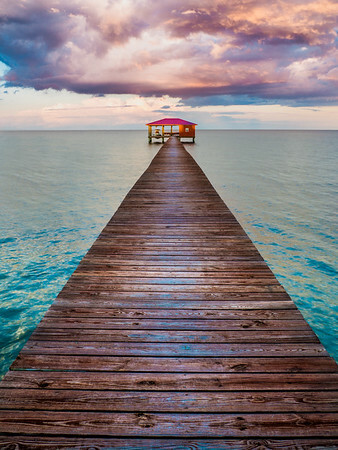 The pier behind Isle of Paradise beach house in Coden, Alabama. 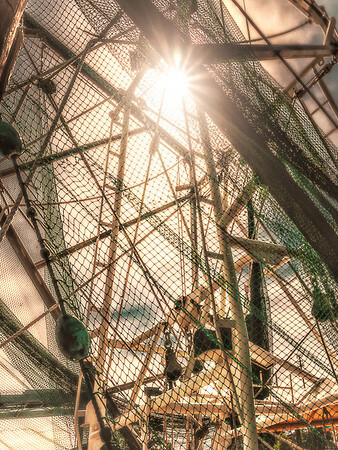 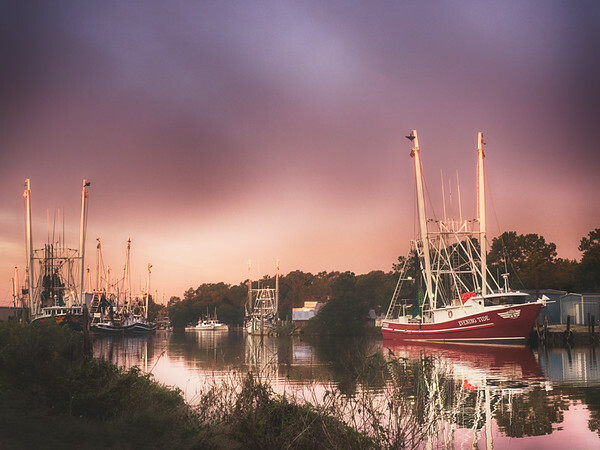 Shrimp boat masts are illuminated by the sunrise in Bayou La Batre, Alabama. 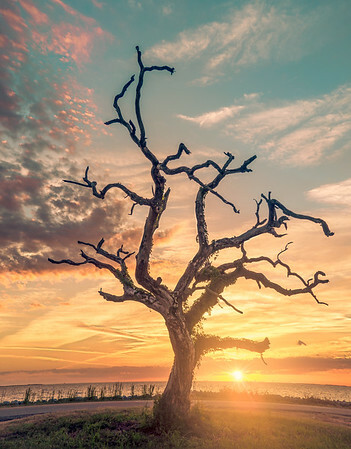 The setting sun makes even this dead oak tree overlooking Portersville Bay look alive in Coden, Alabama. 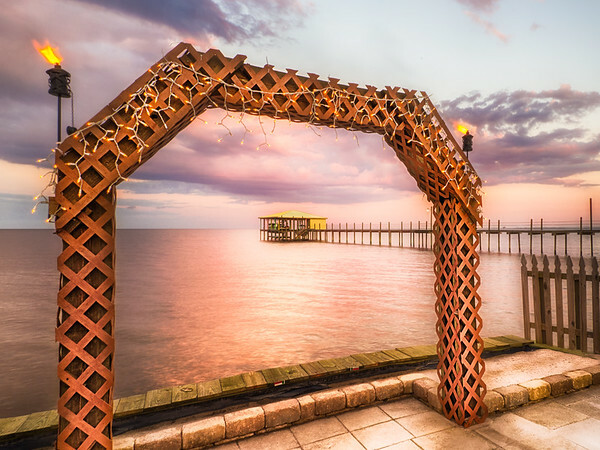 Sunset behind the lighted arch at Isle of Paradise in Coden, Alabama. 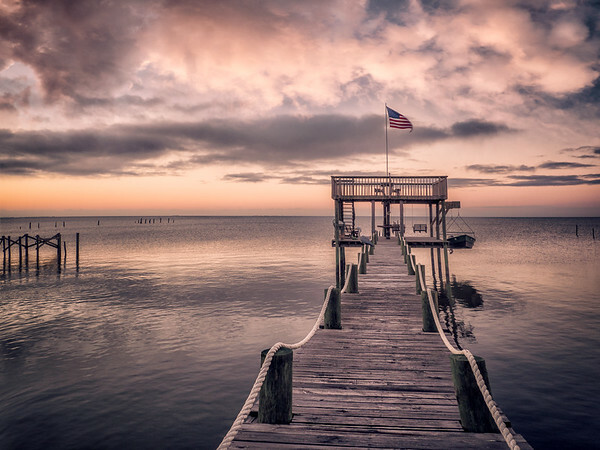 A pelican upon a post watches a fisherman and his boy return to shore during sunset in Coden, Alabama. 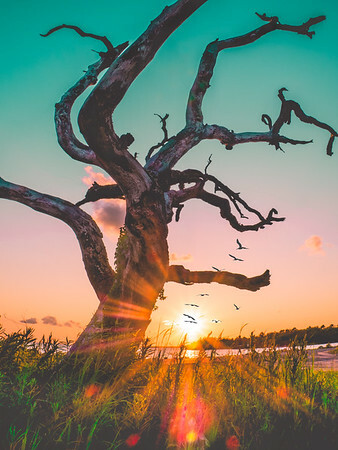 Duck Hill Oak during sunset on Portersville Bay in Coden, Alabama. 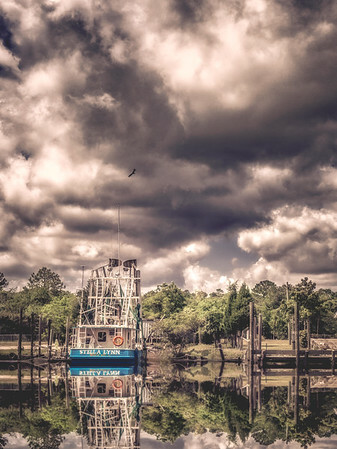 A seagull flies over the Stella Lynn under stormy skies in Bayou La Batre, Alabama. 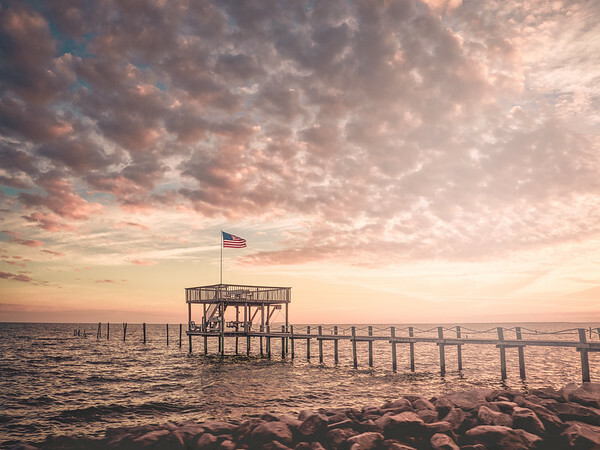 An American Flag waves during sunset over Portersville Bay in Coden, Alabama. 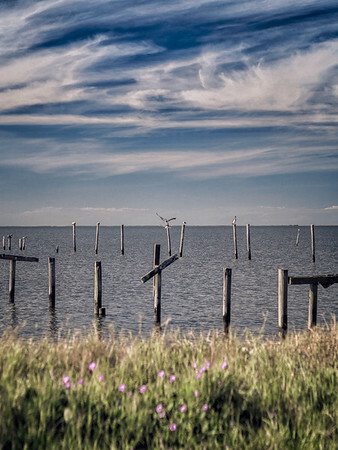 A pelican drives a seagull from its post in Coden, Alabama. 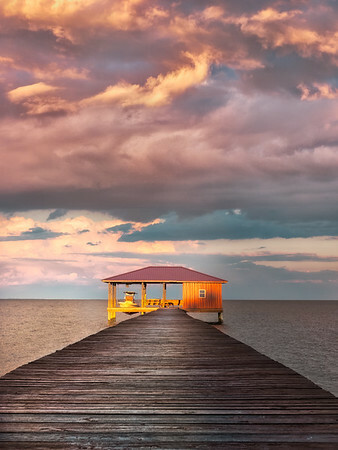 Sunset over a boat shack at the end of a dock in Coden, Alabama. 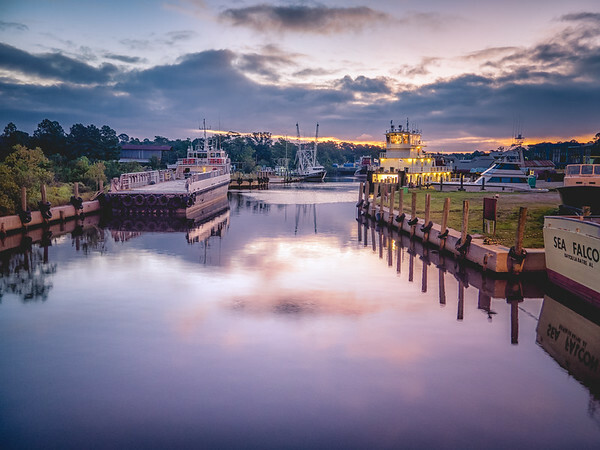 Dawn on the Bayou in Bayou La Batre, Alabama. 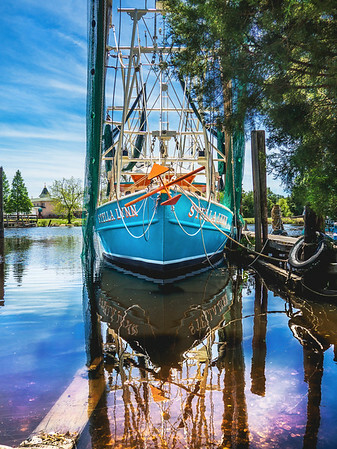 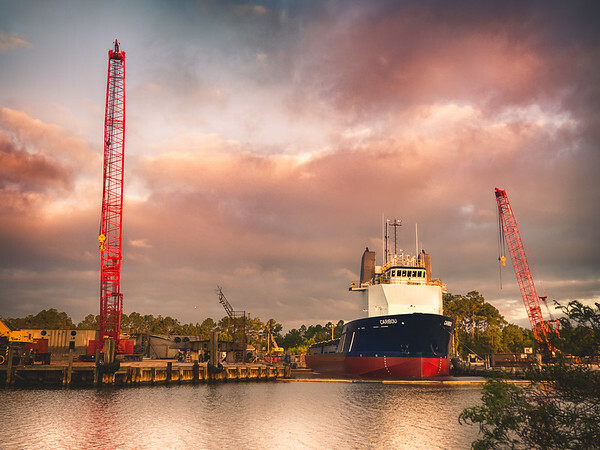 The Stella Lynn docked in Bayou La Batre, Alabama. 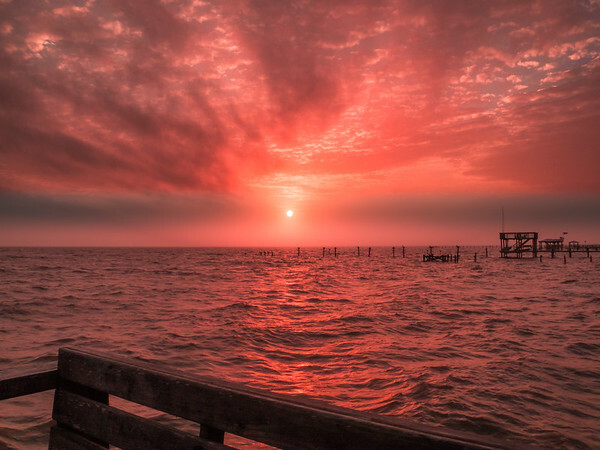 A vibrant sunset over Portersville Bay in Coden, Alabama. 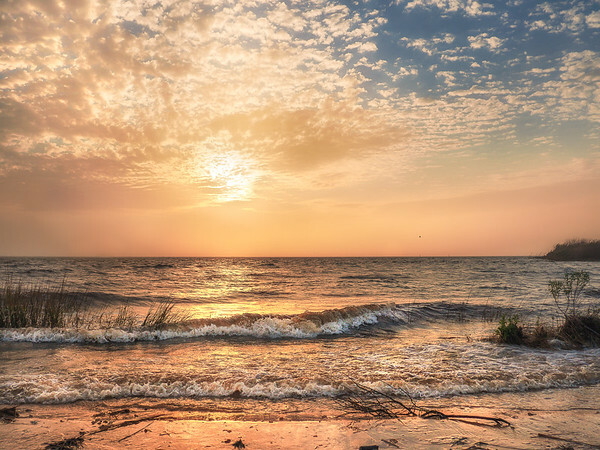 Choppy waters of Portersville Bay under the setting sun at Coden Beach in Coden, Alabama. 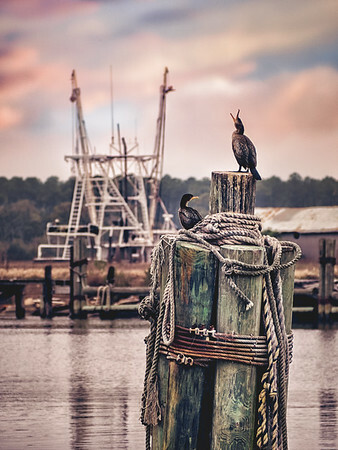 Two cormorants sit upon a post in the bayou in Coden, Alabama. 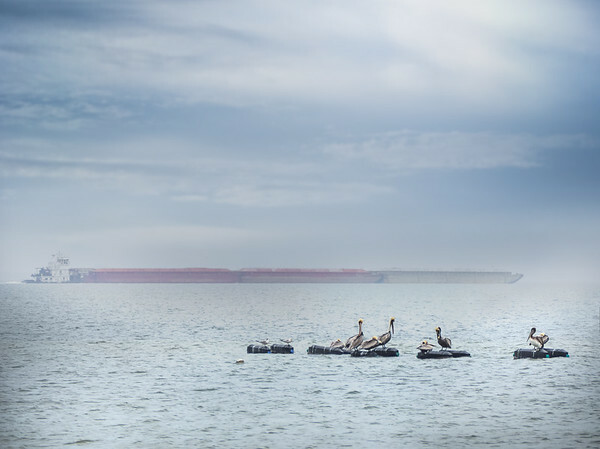 Pelicans and seagulls relax as a barge slowly passes through Mobile Bay on a lazy, hazy day in Dauphin Island, Alabama. 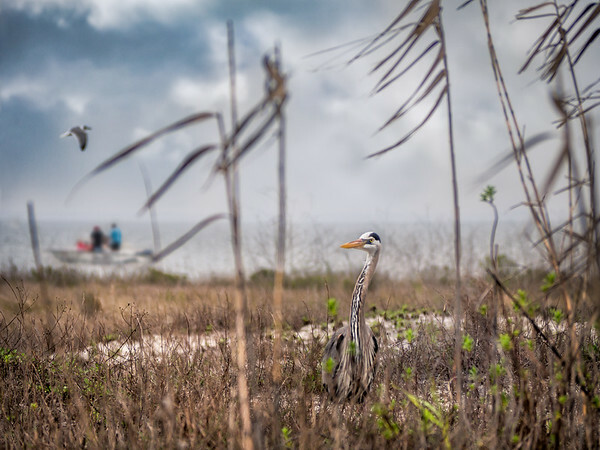 A Gulf Coast scene, complete with a Great Blue Heron on Dauphin Island in Alabama. 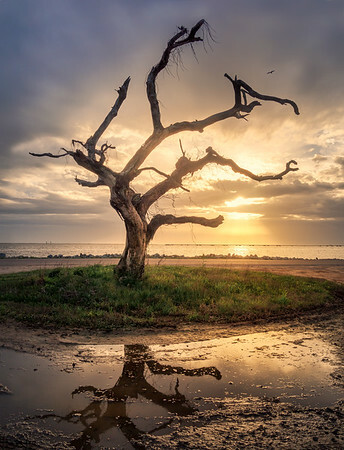 Duck Hill Oak is reflected in a puddle after a rainy day as rays shine through the remaining storm clouds over Portersville Bay in Coden, Alabama. 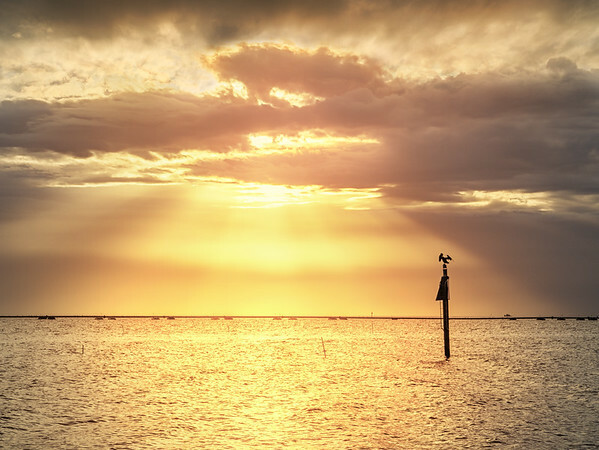 A pelican dries its wings, opening them toward sunrays over Portersville Bay in Coden, Alabama. 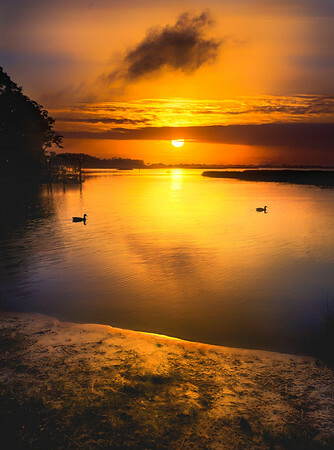 Ducks enjoy the sunset at Dauphin Island in Alabama.